Short Sweet Synopsis: Evie, a spunky teenage girl, is exiled from her boring hometown to the bustle streets of New York City where she becomes friends with a Ziegfield girl and meets a rakish pickpocket. She lives with her uncle in a museum of the occult and uses her secret gift to help investigate a slew of gruesome murders. 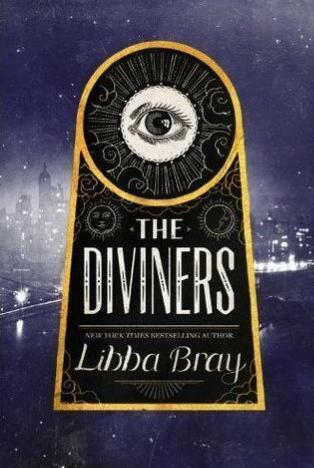 I have a new favorite Libba Bray book and it is "The Diviners"! Speakeasies, flappers, prohibition, anti-immigration, the KKK, eugenics, spunky female characters, and the Occult!!! What is there not to love about this book? 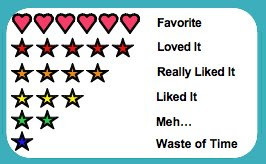 Some of you may say the length, but as a slow reader and someone who can't stand books that make me feel like I'm watching paint dry, "The Diviners" kept my attention from start to finish. Usually I am antsy to finish a book so I can start a new one, but this didn't happen with "The Diviners". I listened to the audio book and the narration was fantastic. I don't usually listen to audio books from start to finish (I switch between the book and the audio), but I sat for hours staring at the wall engrossed in the audio book. I did read some of the book; however, I found myself missing the narrator and usually switched back after 20 minutes. I didn't realize when I started the book that it was part of a series, but realized it towards the end of the book that there was no way Libba Bray would be able to explain all the mysteries and questions I had. Usually I cringe when I realize a book is part of a series; this was not the case with "The Diveiners", I can't WAIT to get my hands on the next book! 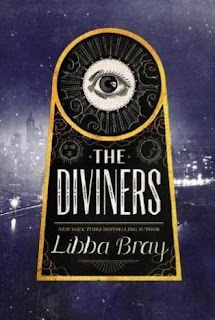 If Libba Bray tried to wrap up "The Diviners" in one book, it would have been TERRIBLE. The plot and characters are just too rich; the book would have just fallen flat. You know a book is fantastic when you have a pile of books on your "to-read list", but none of them sound intriguing anymore.